"For all the talk of our virtual world, the innovation, you can’t build those vehicles without minerals that come from generally weird, hard-to-access places," said Prince, and adviser to president Trump and brother of US education secretary Betsy DeVos. Miners - particularly from China, have been pouring billions into the metals as the electric vehicle industry expands, which include cobalt, copper and lithium. Prince says his new fund will focus on unexplored deposits which could be brought into production and then acquired by larger mining companies, and will look to offload its investments within four to five years. "Chinese companies are not necessarily interested in the very upstream exploration," said Prince. "They want to buy something in production which leaves that gap for us." More than 60 percent for the world's cobalt supply originates from the DRC, which has attracted major investments from Chinese companies including Citic, Jinchuan Group and China Molybdenum. Prince gained notoriety as the founder of Blackwater - the world's most famous private military contractor which has been targeted with lawsuits alleging civilian deaths in Iraq, including a 2007 incident in Nisour Square, Baghdad, where 17 civilians were killed and 20 injured after Blackwater guards claim their convoy was ambushed. And FBI investigation concluded that at least 14 of the 17 Iraqis were shot without cause. Prince sold the company in 2010, which has changed names and is now known as Academi. Since parting ways, Prince has run Frontier Services Group, providing logistics and security services to companies operating in risky or unstable countries. For example, they provide anti-piracy support to Somalia and security to oil firms doing business in South Sudan. The company has also ventured into natural resources, however, after discovering a copper and cobalt deposit in the Congo, and investing in a bauxite mine in Guinea. 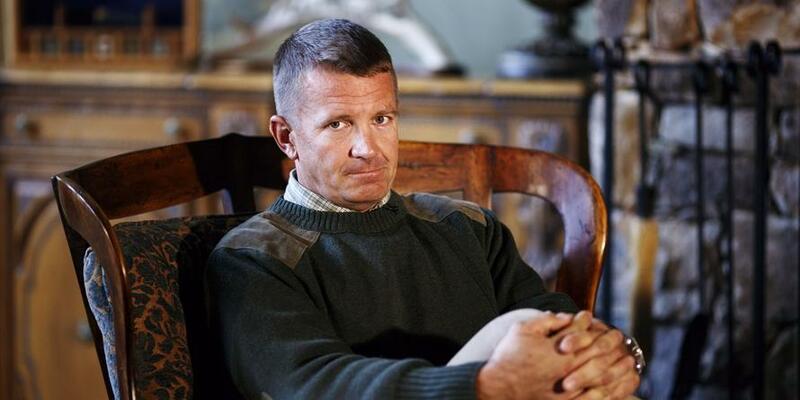 A former Navy Seal who now lives in Abu Dhabi, Mr Prince’s strong Chinese connections have helped with his mining investments. This year his mine in Guinea secured an agreement to supply China’s state-owned aluminium producer Chalco with bauxite. "When I see the R&D budgets of all the major automakers ploughing huge money into hybrid or electric vehicles, I believe the demand curve for the unique minerals that make up an electric car and battery technology will be enormously high over the coming years," said Prince. Prince has been investigated by special counsel Robert Mueller over a meeting with Kirill Dmitriev, the head of one of Russia's sovereign wealth funds, which the Blackwater founder said was a chance encounter for the two to discuss trade and mineral wealth.